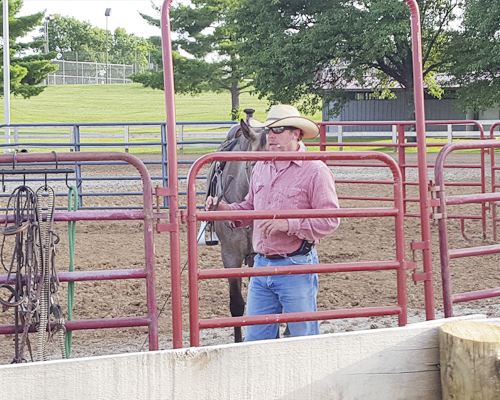 Dallas Todd Slusher began working with horses professionally more than fifteen years ago for the love of horses and the horsemanship lifestyle. He has attended and participated in clinics by internationally acclaimed horsemanship clinicians such as Buck Brahnaman, Chris Cox, and Monty Roberts. 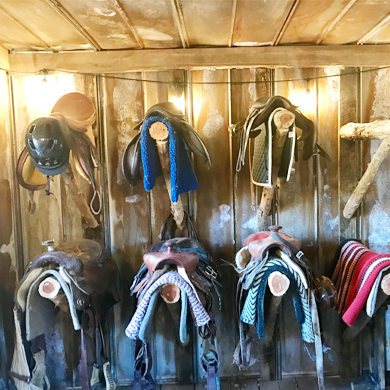 He has in-turn offered similar horsemanship clinics, conducted trail rides, provided one-on- one training, transported horses across the country, and started countless colts. 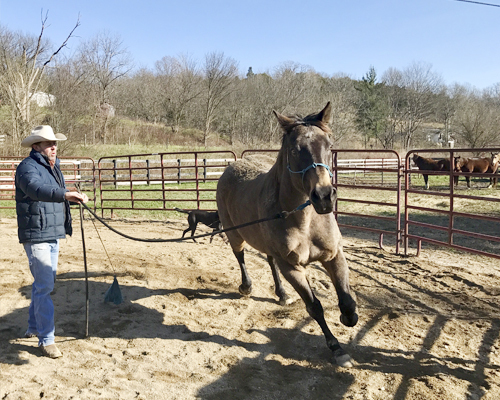 Three Hill Farm offers clinics and personal training focusing on creating and implementing a plan for horse owners to spend more time working with and riding their horses to avoid the potential of horses ending up in the field, with no purpose, no need, or worse, being put down because of issues that block the horse from being ridden. 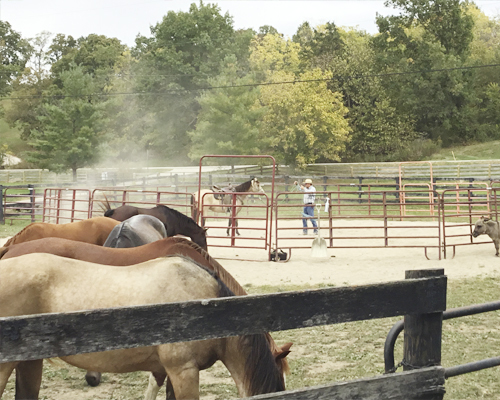 When we purchased our farm, in October of 2016, our vision expanded on Todd’s horsemanship clinics to engage participants in a hands-on experience. 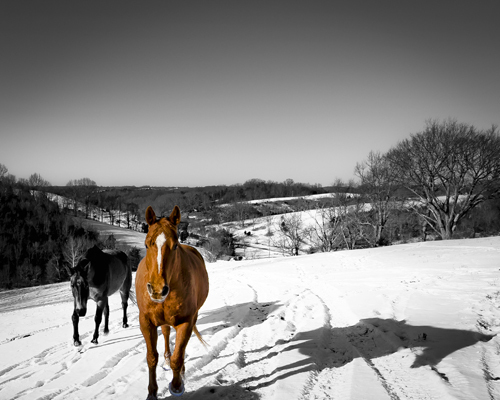 We want visitors to experience horses through direct involvement in the training process. 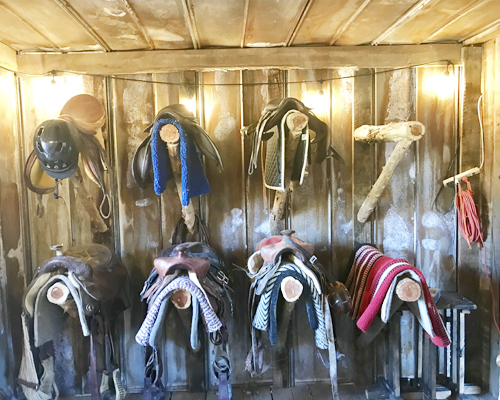 Our clinics have evolved to include basic ground work, how to groom and saddle a horse, riding and handling techniques, and our philosophy of how a horse thinks. 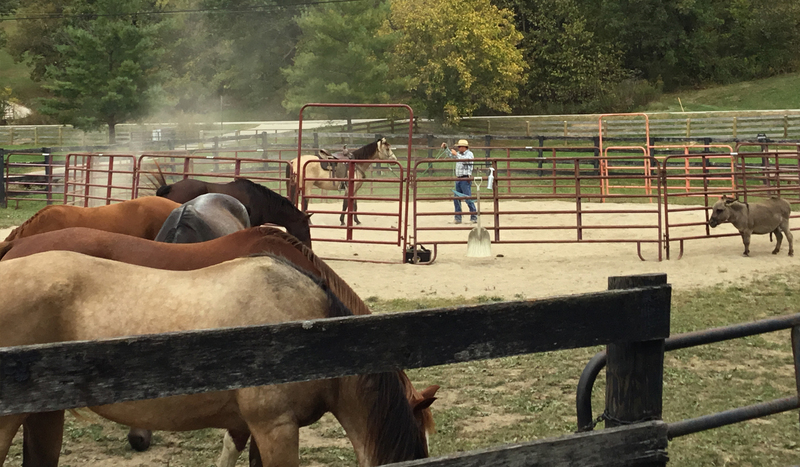 For extended clinics, we incorporate trail riding to improve individual horsemanship skills. 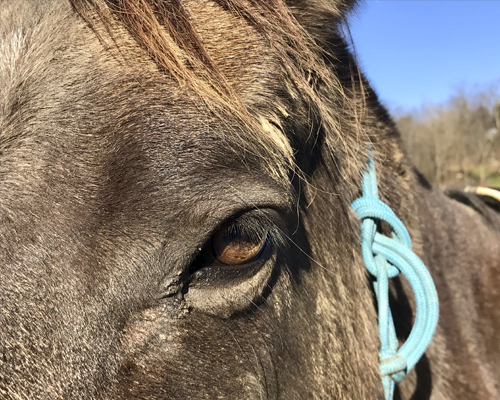 Although we host clinics in an enclosed training area, we want to encourage riders to experience horses in a more natural setting: over fields, through forests, and across creeks. 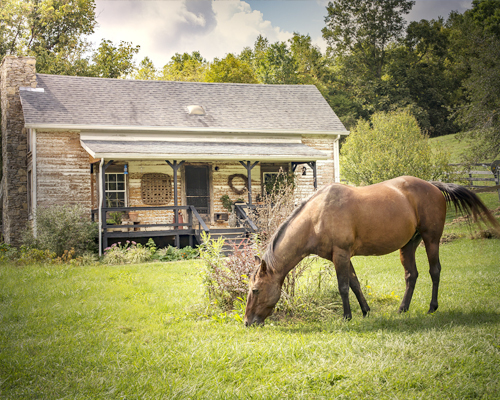 Our goal is that guests have the opportunity to fully experience the horse. 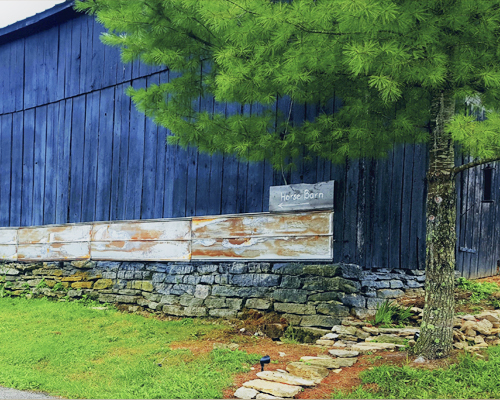 Todd’s wife, Jessica, embraced Todd’s vision of creating a natural setting and began adding her own touches to the farm. 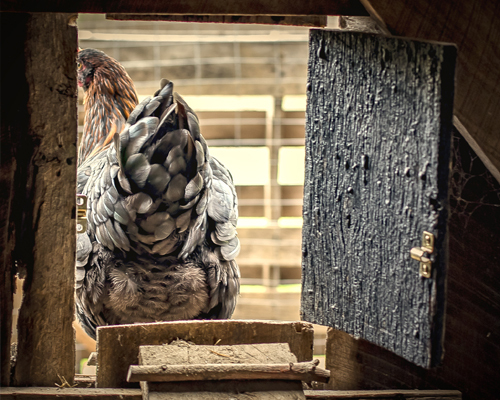 Jessica maintains a flock of heritage chickens that were selected for rarity, dual purpose egg and meat breeds, and both flavor and color of eggs produced. She currently keeps breeds such as Dominiques, Wyandottes, Welsummers, and French Marans. Our poultry is personable and healthy. Jessica also added Silkie chickens for the fun of engaging younger guests to interact with our flocks. Silkie chickens are a small, fluffy, and friendly bunch. The farm will begin heirloom tomato production this year with the addition of table herbs and cut flowers. We are a transitional organic farm and incorporate natural techniques into our growing farm production. 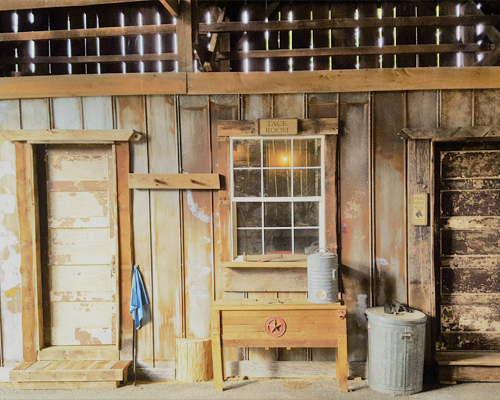 Jessica also works with salvaged materials such as leaded glass windows, barn tin and lumber to create rustic spaces and hand made furniture. 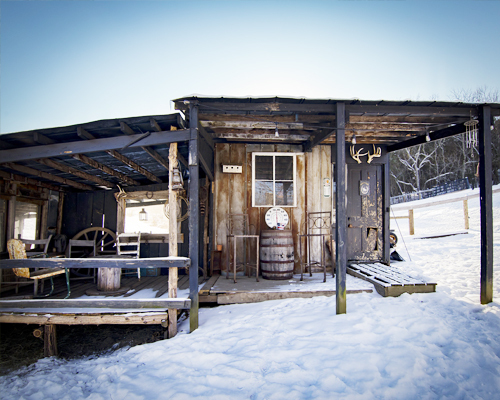 Salvaged materials can be spotted throughout the farm both inside and out.